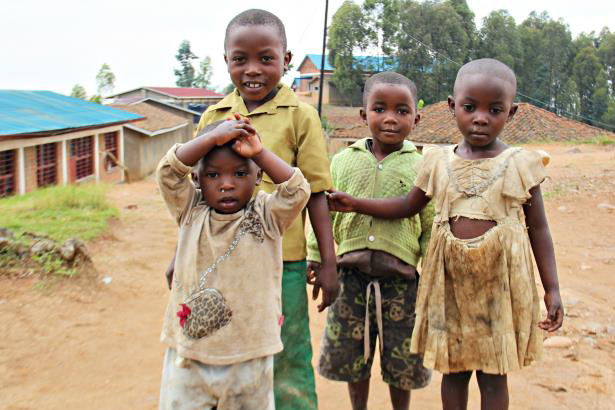 1,628 primary & 768 secondary pupils go to this mountain top school overlooking Lake Kivu. It’s district governed, but seriously lacks funding and resources to cover basic needs. 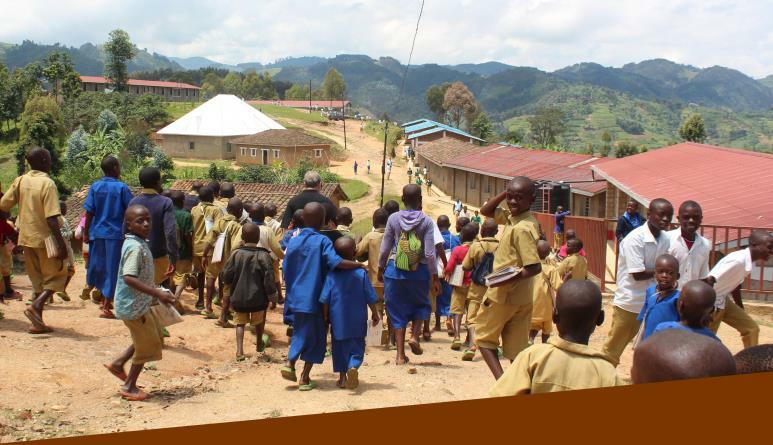 Our association with the school began in 2014 through the Point’s funding partnership with Caffe Praego Coffee Company, as scores of the coffee farmer’s children attend the school. 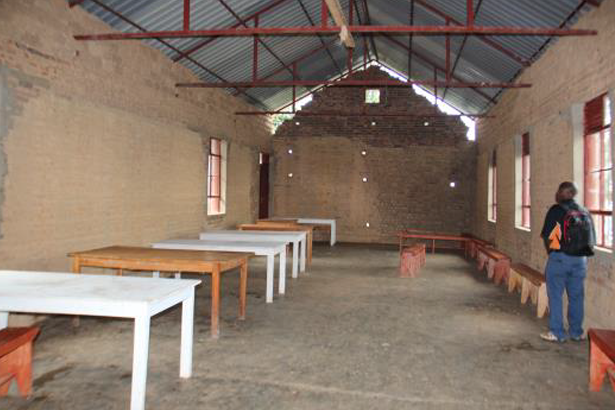 The assembly hall had been partly built by the parent’s association over a 2 year period. 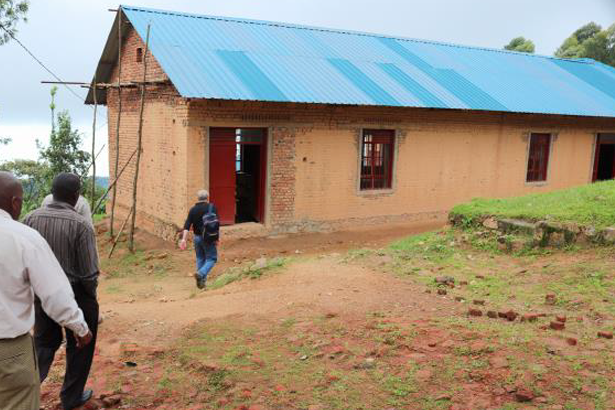 PF funded a new roof in 2017 to help accelerate its completion. PF have supplied 100 benches, 50 chairs and 20 tables for the hall, plus a microphone and sound system to use at assembly time. 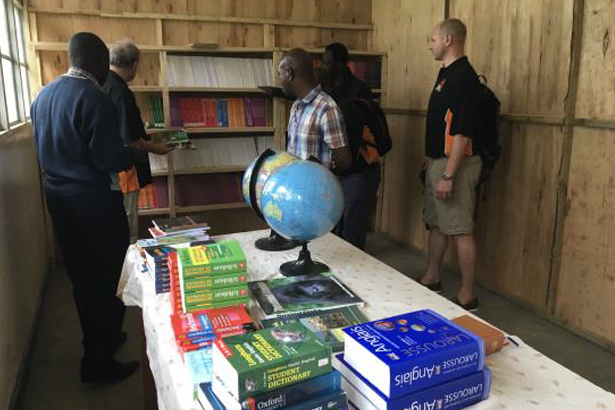 Funds established a dedicated library room (which the school didn’t have) and supplied books and bookcases, reference maps, globes and a projector & screen. 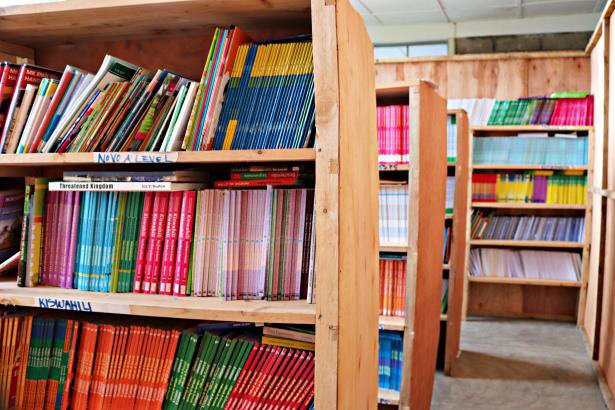 So far PF have bought 2,600 national curriculum text books, filling the library to the brim, but there are still many more books needed for the 2,396 school pupils. 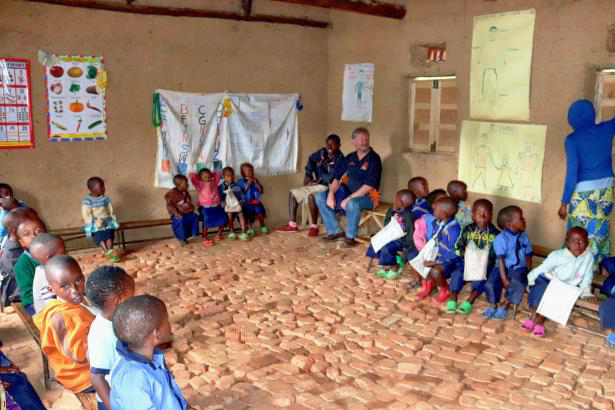 Attached to Kigeyo School is the village nursery school with 65 registered children and 1 teacher. The tiny building consists of one room only. 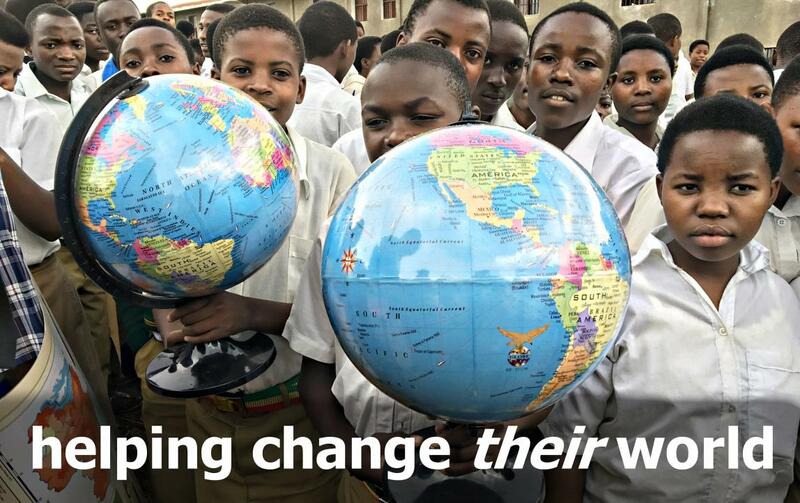 Here they have no desks and few learning materials. 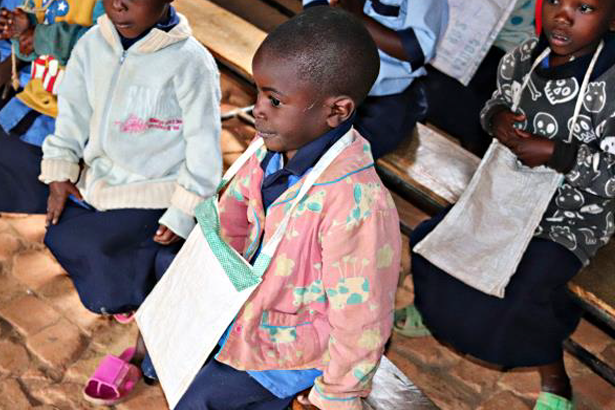 School bags are made from discarded coffee bean sacks. PF have pledged more funding support. Further funding is needed to help start a Food Programme to combat the high rate of malnutrition amongst pupils. By growing fruit & vegetables at the school pupils will get better nutrition, as well as seeds and plants to grow at home. 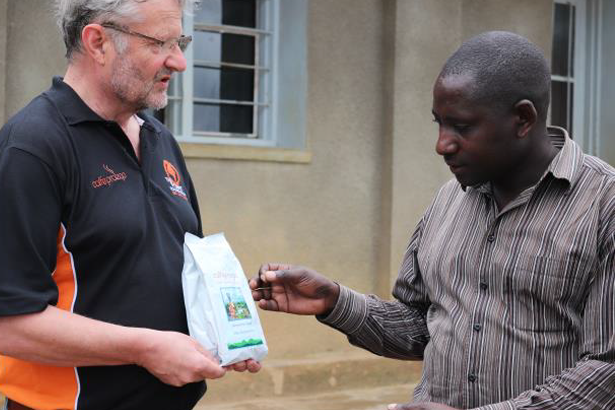 Through its coffee sales, Caffe Praego funds are helping give back to the coffee farmers & their communities, making meaningful changes to schools like Kigeyo and bringing hope to its headmaster Christian and his pupils.